Chief County Investigator, George Contreras, supervised the disinterment of Grace’s decomposing body from her cement covered coffin in the cistern at her Beverly Glen cabin. News of the discovery spread quickly, and soon morbid crowds paralyzed traffic in the Glen as they attempted to catch a glimpse of Thomas. Dressed in a blue suit and appearing calm, Thomas, unaided, exited a car in front of the cabin. He was accompanied by Deputy D.A. 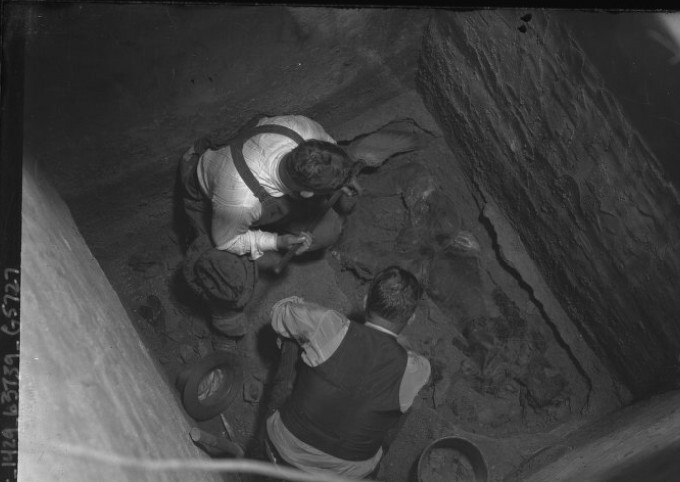 Harold Davis and Investigator Charles Reimer. “We want to talk this over a little bit,” Deputy District Attorney Davis told him. Since uncovering Grace’s body, the authorities had a lot of questions for Thomas. As soon as they arrived at the cabin, Thomas settled himself in a comfortable rocking chair, lit a cigar, and began to speak. 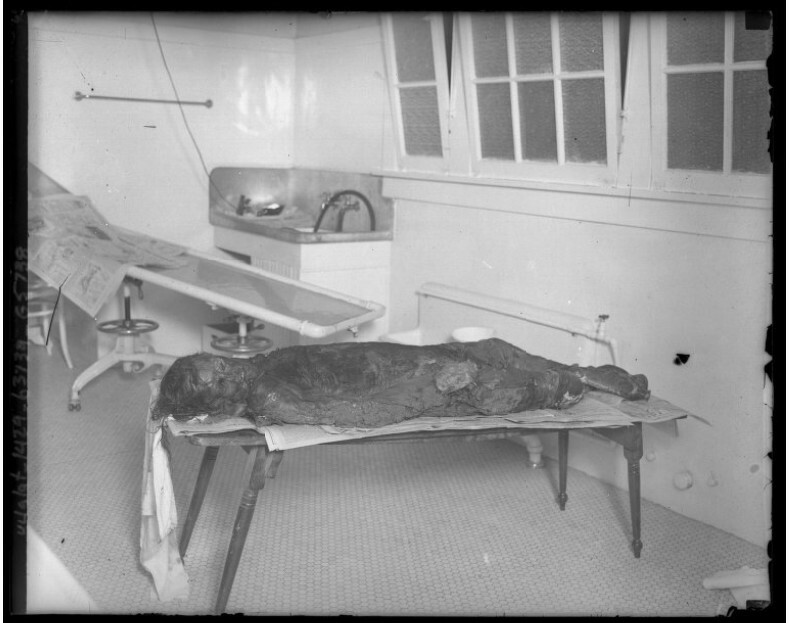 Grace’s body found in the cistern. He told the investigators, and the shorthand reporter talking notes, that his father was a chaplain at the Pennsylvania Penitentiary. Thomas also mentioned that he had been educated at the Pennsylvania College of Dental Surgery and at Washington and Jefferson University. Investigators were skeptical of Thomas’ account. 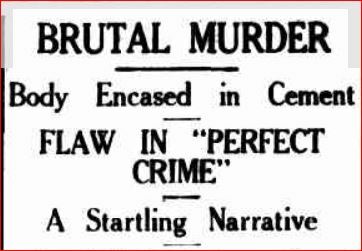 They believed that he had been laying plans for his “perfect crime” since the first day of his marriage, and that he had always planned to kill Grace and gain control of Patrick and the Grogan fortune. It was revealed that a part of his plan included marrying Patrick off to a woman of Thomas’ choosing, killing Patrick, and then marrying the boy’s widow. At first, Thomas said he could not recall how he had killed Grace. “I don’t know how I killed her,” he said. His pseudo loss of memory was, investigators felt, another calculated move by Thomas. They believed that Thomas planned to feign insanity. Davis wanted to know where Grace had been killed. Was it in Thomas’ office, or in his car? Or out on a lonely road, or possibly at the cabin? “And you didn’t choke her to death?” Davis asked. “I don’t think so,” he answered. Thomas admitted to carrying a .38 caliber automatic pistol in the side pocket of his car on the night of the murder. The weapon was discovered by Investigator Reimer in Thomas’ dresser at the Kingsley Drive townhouse. “Did you shoot her?” he was asked. It was 3 a.m. when Deputy D.A. Davis and his associates arrived at the funeral home with Thomas. Then Thomas swayed on his feet and collapsed. “It was a little bit of a hand.” He mumbled. Thomas was taken to the front office where he sat with a vacant stare for several minutes before recovering himself. Suddenly, he wanted to unburden himself. Thomas said that on the night of the murder, he and Grace stopped at the Plantation Grill, where they argued, then they went to his office where they got a bottle of liquor and got “lit up.” While they were at the office, Thomas picked up a tube of Somnoform, a heavy anesthetic, and concealed it in his pocket. Grace fell asleep in the car as Thomas drove out to the cabin. When they arrived, Thomas put a mask over her face, administering the Somnoform until she quit breathing. Before dumping Grace’s body into the cistern, Thomas stole $140 from her purse and relieved her of her jewelry. He subsequently gave his assistant, Dorothy Leopold, the diamond ring Grace had been wearing, as well as several items of expensive clothing. Of course, the investigators wanted to know what had motivated Thomas to murder Grace. He said he’d killed her because after their fight she had slapped him and broken his glasses. It was enough to activate the murder complex. “Someone was always imposing on me, beating me, verbally or physically. Yes, I was always the goat.” Thomas said. NEXT TIME: Thomas Young’s fate.